Starter kits are a selection of fabric to get you going, you can then add your own borders/sashings/backgrounds. 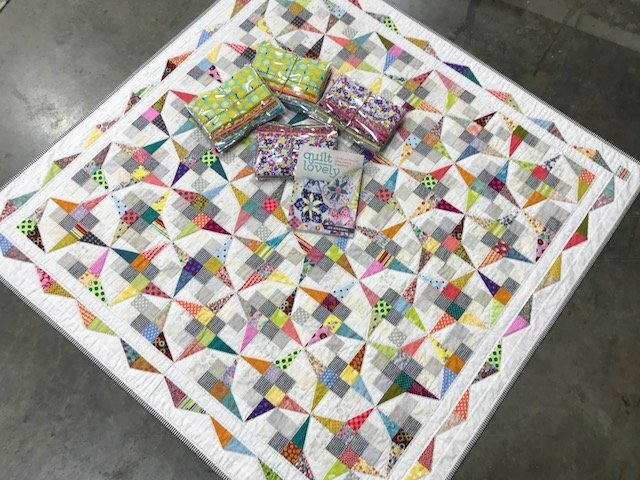 The Spring Fever starter kit includes fabric and features a selection of fat 16ths in 'modern retro' fabrics to give you the perfect variety to get going on this beautiful quilt. Jen made this quilt from her stash so kit features different fabric to the original quilt. Fabric selection is at the discretion of Amitie Textiles and we always put something beautiful together!